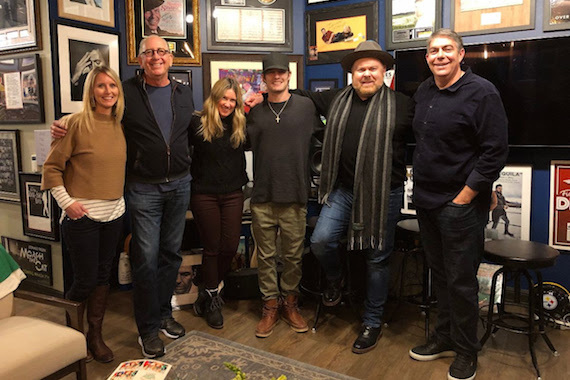 Tucker Beathard has signed a major recording deal with Warner Music Nashville. Beathard inked the contract following the independent release of the first installment of his debut double album, Nobody’s Everything. The second chapter will be released in the coming months on Warner Music Nashville. In November, MusicRow spoke with Beathard about the new project, the product of a years-long fight for creative freedom to make music he believed in. Beathard began work on the album following his split from former recording home Big Machine Label Group. 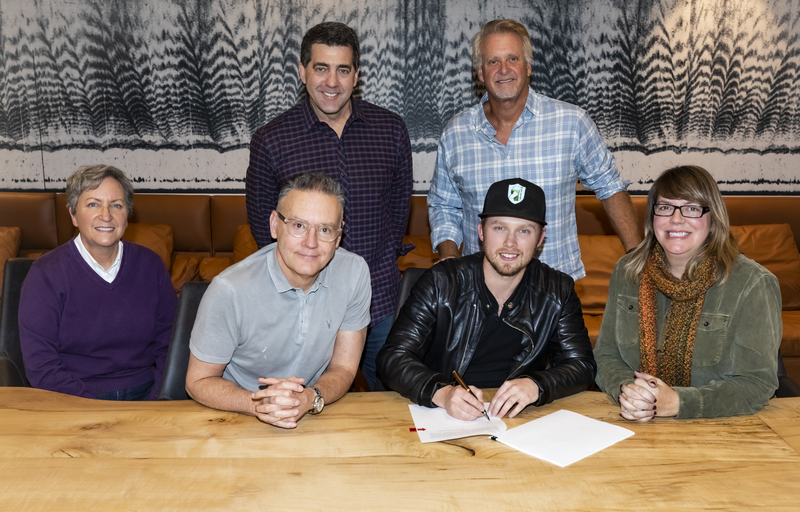 Beathard also inked a new publishing deal with Little Louder Music back in August. 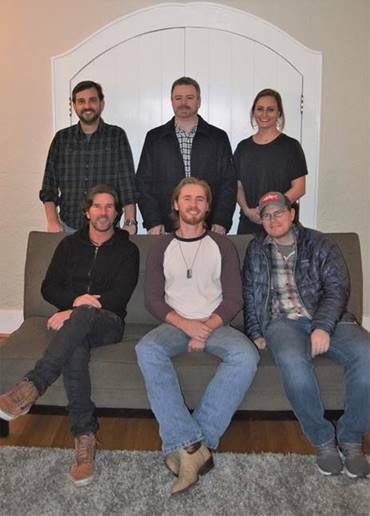 Jameson Rodgers has signed a recording deal with River House Artists/Columbia Nashville. 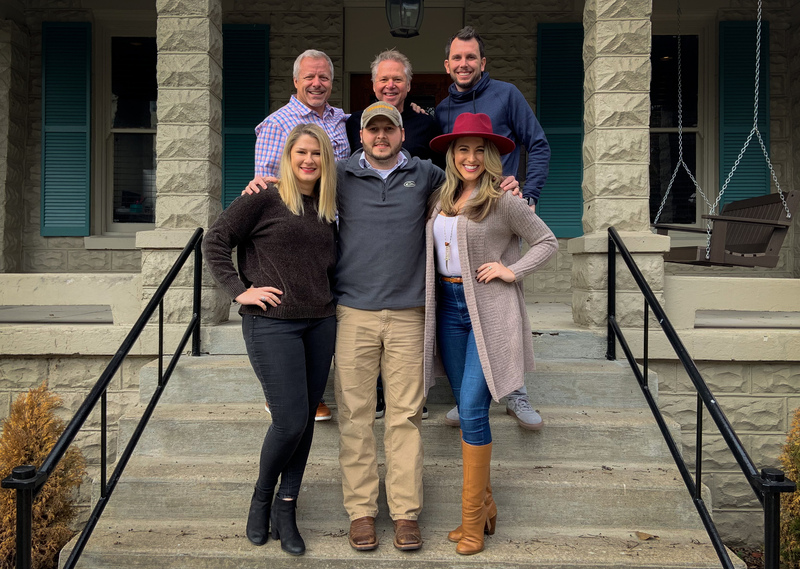 In conjunction with the signing, Sony Music Nashville and River House Artists have officially announced an exclusive, long-term joint-venture agreement, effective immediately. The first collaboration between the two actually began in 2016, when multi-Platinum artist Luke Combs inked a deal with the River House Artists and Columbia Nashville imprints. A Mississippi native, Rodgers moved to Nashville in 2010 to pursue his music career and signed with Combustion Music in 2014. 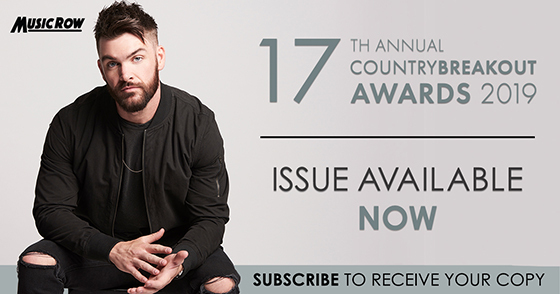 He has since had cuts including Florida Georgia Line’s “Wish You Were On It” and their latest single “Talk You Out of It,” as well as Chris Lane’s new single “I Don’t Know About You.” He has independently released two EPs, the latest featuring streaming hits, “Some Girls” and “Missing One,” which have been featured on Spotify’s New Boots and Wild Country Playlists along with SiriusXM’s On The Horizon. A new single is expected later this year from Rodgers, who is slated to open Luke Combs’ Beer Never Broke My Heart Tour beginning Jan. 31 and is also one of three artists chosen for the CMA Kixstart Artist Scholarship inaugural class. Rodgers is managed by Red Light Management’s Shawn McSpadden and JP Durant, and booked by Darin Murphy and Sam Forbert at CAA. Marty Brown has joined the Plowboy Records roster. Brown is currently putting the finishing touches on his latest album, which is due out this Spring. The initial radio single is set for release in February. Publicity for the new project is being handled by Martha Moore of so much MOORE media. To date, Brown has recorded four studio albums, including three for MCA: High and Dry (1991), Wild Kentucky Skies (1993) and Cryin’, Lovin’, Leavin’ (1994). He released Here’s To The Honkytonks (1996) via HighTone. Brown also co-wrote Tracy Byrd’s hit “I’m From The Country,” and Trace Adkins’ “When I Stop Loving You,” among others. Brown also appeared on season eight of America’s Got Talent and was previously signed to Keith Stegall’s Dreamlined Entertainment. Songwriter Will Bundy has signed a worldwide publishing agreement with Warner/Chappell Nashville and Cornman Music. A ninth-generation cattle farmer turned songwriter, Bundy was born and raised in Southwest Virginia. He learned to play guitar at a young age, and in 2016 moved to Nashville to pursue music. In addition to songwriting, Bundy records and produces music. 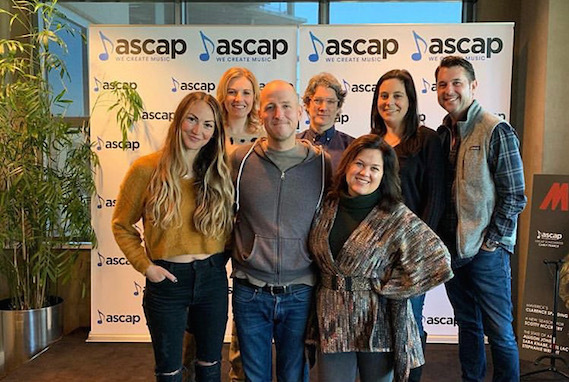 Ashley Gorley‘s Tape Room Music, along with Artist Publishing Group, have signed a worldwide co-publishing deal with multi-genre songwriter and producer Benjamin Johnson. Originally from Meridian, Mississippi, Johnson attended Belmont University on a cello scholarship. He is on the current Charlie Puth record and is co-producing Kylie Morgan with Shane McAnally, along with the new Hunter Phelps project. In addition, Johnson is a member of Track 45 with his sisters Jenna and KK, who are managed by Borman/Gallimore. 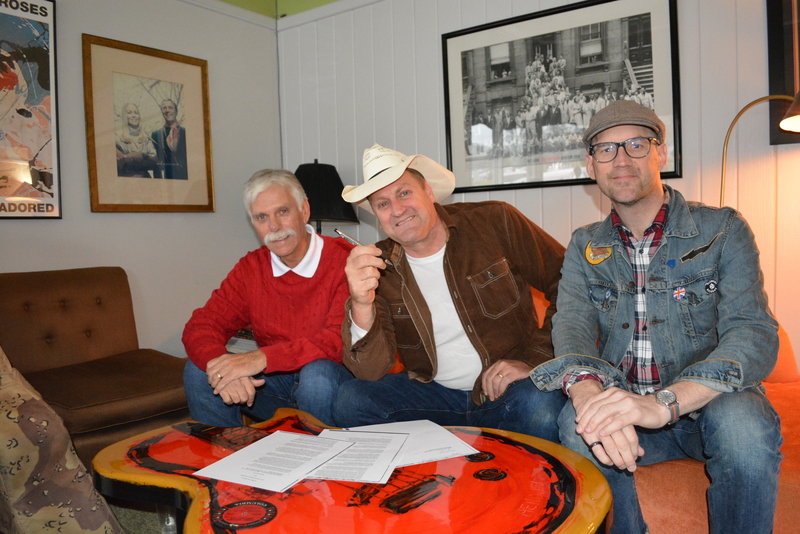 Big Yellow Dog Music has signed Jeremy Lister to an exclusive publishing agreement. A member of the a cappella group Street Corner Symphony, Lister has been based in Nashville since 2003. He joined the Nashville-based Street Corner Symphony for NBC’s second season of The Sing-Off in 2010. The group claimed second place and later toured with Ben Folds. Currently, Street Corner Symphony is headlining shows across the globe. Lister has released three EPs under his own name in addition to three albums with the vocal group. Alison Krauss + Union Station recorded Lister’s “Sinking Stone” on their album Paper Airplane. He recently released a single, ‘Sign Language,’ which is the title track of an EP slated for 2019. Pictured (Back row, L-R): Mike Whelan, Senior Creative Director; Tony Harrell, General Manager; Ben Strain, Creative Director. (Front Row, L-R): Lauren Davis, Artist Management and Contract Services; Houston Phillips; Nicole Sherrill, Creative Director. Photo: Courtesy of MV2. 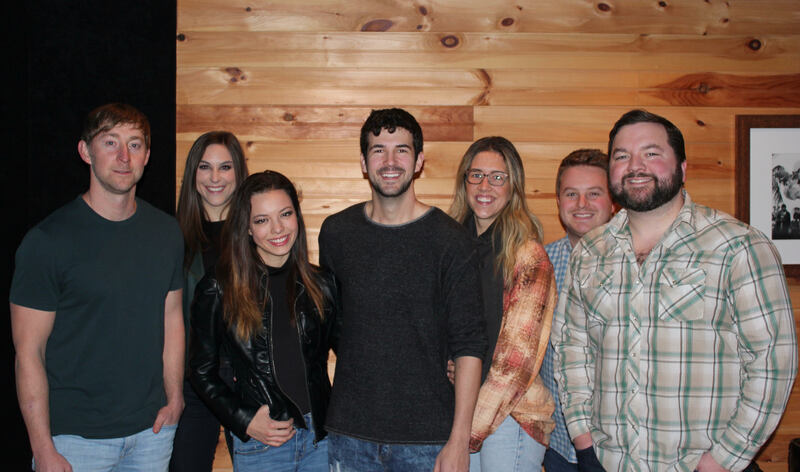 MV2 Entertainment has added songwriter Houston Phillips to its publishing roster. Phillips’ career has included cuts with Jerrod Niemann (“Free The Music”), Tyler Farr (“Redneck Crazy,” “Suffer In Peace”), Jason Aldean (“Rearview Town”) and Colt Ford (“Love Hope Faith”), among others. Phillips, a Cleveland, Tennessee native, graduated from Belmont University with a degree in Music Business, after which he held many music industry jobs including four years as Tyler Farr’s tour manager. After stepping off the bus, Phillips decided to pursue songwriting full time. MV2’s roster of writers also includes Thomas Archer, Nick Donley, Jimmie Deeghan, Eric Dodd, Clay Mills, Robert Arthur and artist Nora Collins.